I’m not bing on Austin, Texas history but I’m pretty big on psychedelic music. I think that’s why I jam so much on the Chemical Brothers or the Orb. They are the natural extension of music created just under 50 years ago. 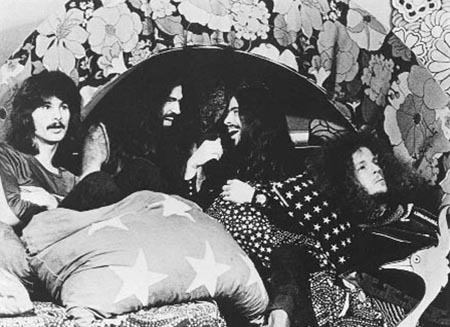 So when I heard The Bubble Puppy in my SXSW mix, I thought “Hey psychedelic music is coming back!” Then I researched and found out that The Bubble Puppy was an Austin based band formed way back in the 1960s. Okay, I can deal with that. And celebrate! I think I’ve played ‘Hot Smoke and Sassafras’ about twenty times now. People that know me know that my love for Pink Floyd knows no bounds, especially the Syd Barrett years. Jamming out to this tune reminds me of the loose and flowing sound that can come from a group of guys stringing out their song and getting people to tune in, but not out. Give a listen and realize that the old is new again. And around and around we go.